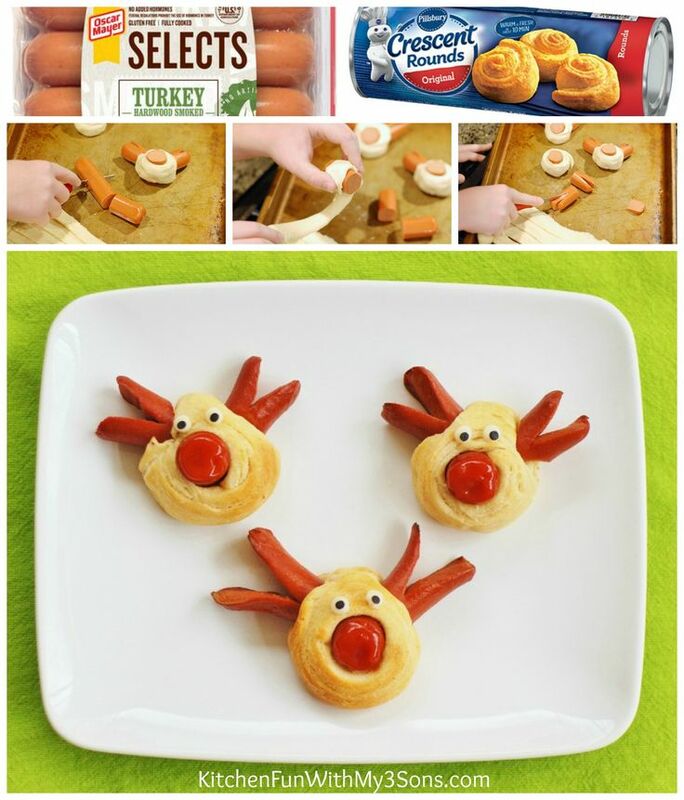 Make a festive Holiday version of Pigs in A Blanket with these Reindeer Hot Dogs. How cute are these? Kids and Adults will love eating them. Roll the crescent rolls into balls. 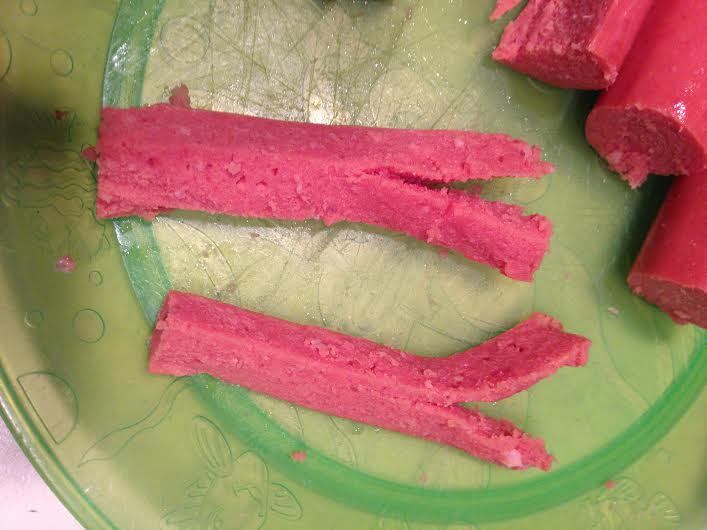 Slice the ends of your hot dogs off. 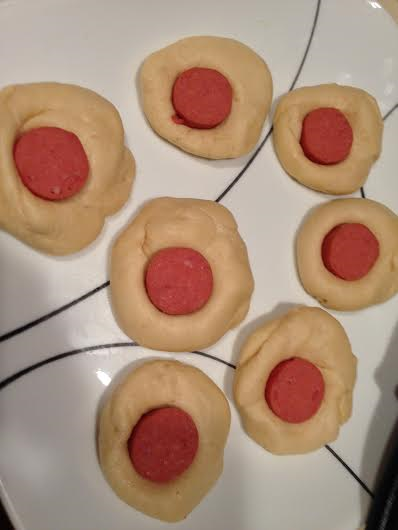 Cut small circles of the hot dog for your reindeer noses. 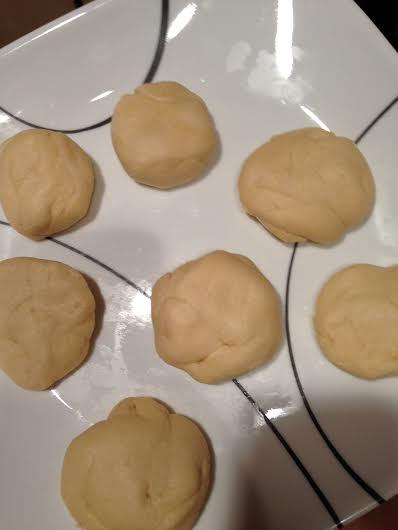 Rip a hole in the center of the crescent roll ball and put your “noses” inside wrapping the uncooked roll around it. 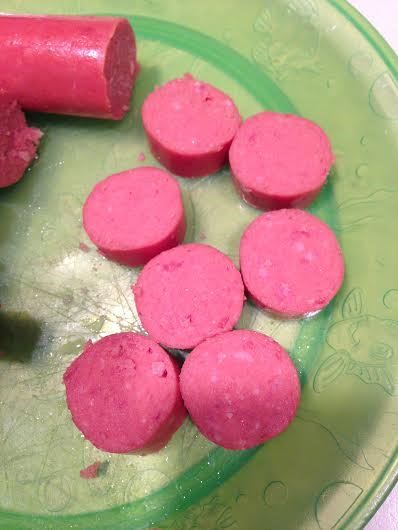 Take longer pieces of the hot dog and slice in half and cut those halves into halves. 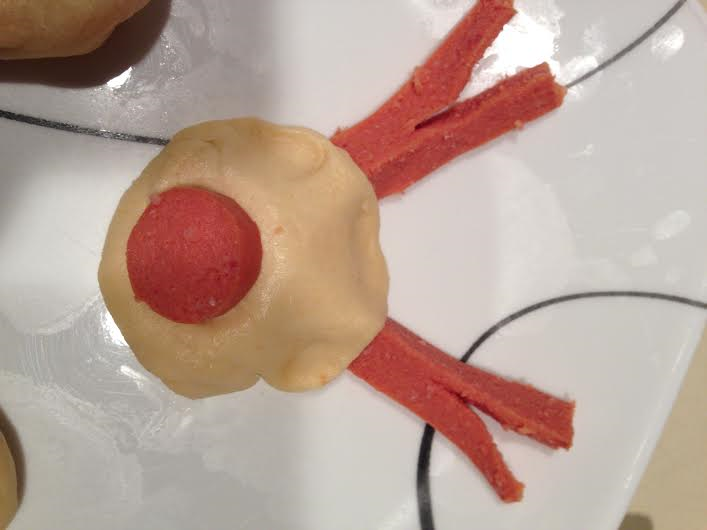 Then slice those pieces half way to make “antlers”. They are so cute when you take them out of the oven. Add the eyes for the finishing touch. 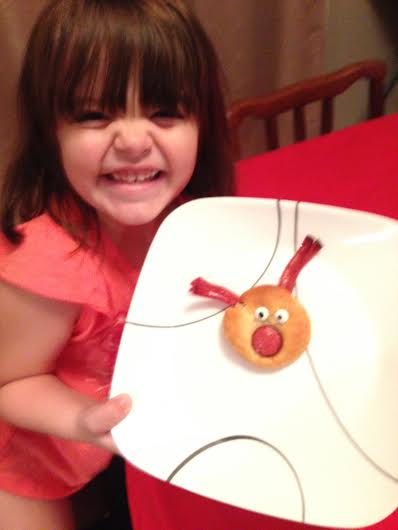 My kids are not fan of ketchup but if your kids are add ketchup to the “nose” to make Rudolph. I am sure your kids will love them as much as mine do. Great as a Christmas appetizer for the kid table. 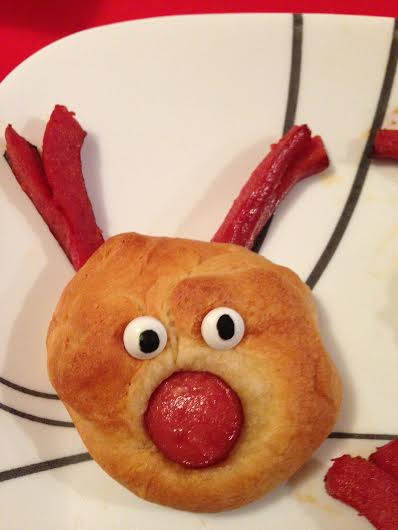 I know a lot of the adults in my family will make sure they are sitting at the kid table to enjoy these cute Reindeer Hot Dogs. From my Momee Kitchen to yours… MERRY CHRISTMAS! I was inspired by this Pinterest Pin that my Momee Friend Nikki showed me.